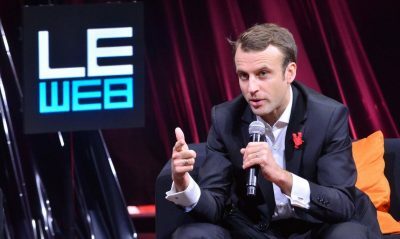 The campaign of the French presidential candidate Emmanuel Macron has been targeted by what appear to be the same Russian operatives responsible for hacks of Democratic campaign officials before last year’s American presidential election, a cybersecurity firm warns in a new report. Security researchers at the cybersecurity firm, Trend Micro, said that on March 15 they spotted a hacking group they believe to be a Russian intelligence unit turn its weapons on Mr. Macron’s campaign — sending emails to campaign officials and others with links to fake websites designed to bait them into turning over passwords. 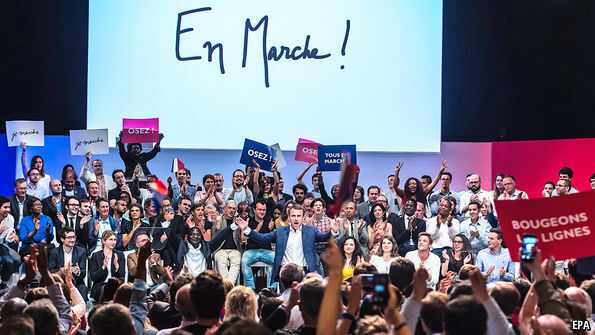 The group began registering several decoy internet addresses last month and as recently as April 15, naming one onedrive-en-marche.fr and another mail-en-marche.fr to mimic the name of Mr. Macron’s political party, En Marche. Those websites were registered to a block of web addresses that Trend Micro’s researchers say belong to the Russian intelligence unit they refer to as Pawn Storm, but is alternatively known as Fancy Bear, APT 28 or the Sofacy Group. American and European intelligence agencies and American private security researchers determined that the group was responsible for hacking the Democratic National Committee last year. The “Macron attack” was very curious. Gigabytes of campaign emails were released by “the hackers” just hours before a media silence period before the election. The campaign immediately found fakes with Cyrillic markings and blamed “Russia”. None of the released emails contained anything that was even remotely scandalous. It was likely a planned Public Relations stunt, not a cyber attack. That NYT report was complete nonsense. The “cybersecurity firm” it quoted was peddling snake oil. Phishing attacks are daily occurrences, mostly by amateurs. Phishing emails are not cyber attacks. They are simply letters which attempt to get people to reveal their passwords or other secrets. They are generally not attributable at all. Likewise APT’s, “Advanced Persistent Threats”, are not “groups” but collections of methods that can be copied and re-used by anyone. After their first occurrence “in the wild” they are no longer attributable. If, as the NYT claims, the authors of the attack on the Macron campaign were the same as in the Clinton case then the Clinton campaign was likely not hacked by Russians. That will of course not hinder Clinton to claim that “the Russians” were the ones who caused her to lose the election. Clinton has by now listed 24 guilty persons and organizations that caused her loss. She is not one of them. suggested that Russia or Trump were somehow behind a deliberate inflation of his numbers of twitter followers through the use of bots, because [Trump’s] European and Middle East tour had been a flop. ‘Who is behind driving up Trump’s twitter followers by the millions?’ she said. ‘We know they’re bots. Is it to make him look more popular than he is? Is it to influence others? What is the message behind this? The Clinton claim of “driving up Trump’s twitter followers by the millions” is fake news based on a hoax. Twitter Audit, where Clinton got the bot numbers from (h/t @LutWitt), says that of the current 15 million plus followers of @HillaryClinton only 48%, or 7,605,960, are real and 8,108,833 fake. For the @realDonaldTrump account Twitter Audit finds that 51% of its 30 million+ followers are real. Not a great margin but still better than Clinton. Hillary Clinton lost it (vid – see her off-the-meds rants on the election starting at 12:00 min). She needs a vacation on some lone island and a long period of silences in some remote cloister. 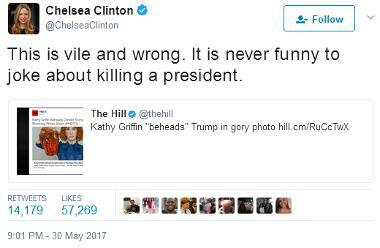 Anything she adds now only reflects badly on her.